I have written other diatribes about trending troponins, but several new considerations have become apparent since them. Mild troponin elevations are nonspecific in critical illness. These assays are highly sensitive and the upper limit of normal is generally set at the 99th percentile of a reference population without apparent disease. It is little surprise that if you select otherwise healthy people for the reference population and then expect patients in the intensive care unit to have a similar distribution of results that you will get "abnormal" values more than the 1% frequency that you observed them in the reference population of persons "without apparent disease." These values are not going to be at all specific for myocardial infarction as they would be in a man clutching his chest with angina in the emergency department. That is, the prior probability of coronary disease will need to be enriched to make the troponin assay more specific - and we need symptoms (angina) or signs (EKG changes), or at least risk factors for that enrichment of the prior probability. 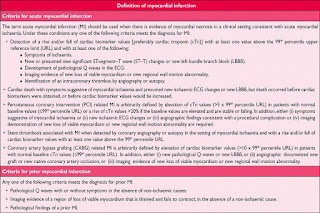 Whether these mild elevations of troponin in the ICU (link is a review of the topic) represent "myocardial necrosis" or "demand ischemia" as they are often said to is another matter, but it would appear foolhardy to make that assumption. Neither God nor Evolution created troponin as a marker of myocardial ischemia - they made troponin for other purposes and man has measured it and used it as a way of making inferences about underlying disease states. 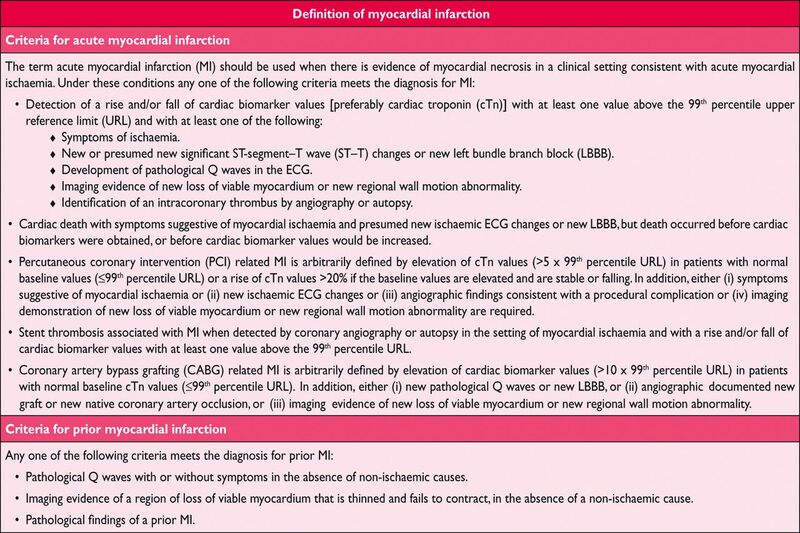 When the values in critically ill patients are very close to the upper limit of normal, it seems foolhardy to make any strong inferences about the underlying state of the myocardium other than to say "troponins are nonspecifically elevated in critical illness." Even if those mild troponin elevations do indeed represent "demand ischemia" they are not of use to us in the intensive care unit. For a test to be useful it must yield actionable information - that is, information that you can use to take action that you would not otherwise have taken. In the case of "demand ischemia", if that is a real thing, all you can do is reduce the demand by treating the underlying illness and supporting the physiology, which you ought to already be doing. So should we "trend" the troponins in search of their peak? After just one elevated value, you have to make a decision about what to do with it, whether you ordered it on purpose or inherited it from another provider who mindlessly ordered a battery of unguided and unnecessary tests. If there are no symptoms of myocardial infarction, there are no EKG changes, and there is an alternative explanation (nonspecificity of troponin in critical illenss) you are finished - you have made your assessment of the meaning of the troponin. If you order more serial troponins, you are now essentially screening an undifferentiated patient in the ICU for - well I don't know what for. If you think this is useful, you ought to be screening all patients in the ICU with troponins, which of course is preposterous because the false positive rate would be through the roof. When you have an abnormal result that you cannot "unknow", you have to act upon it or dismiss it after careful thought and deliberation. Ordering another nonspecific test in the hopes of discerning something useful from the "trend" is basically screening in disguise and procrastinates the careful thought that is required to dismiss it confidently. An afterthought: I am aware of cases where CAD/MI was incidentally discovered in the ICU with unguided troponin testing. But that is looking at the problem a posteriori. It's like saying your neighbor Mr. Jones won the lottery, so everybody should play the lottery as an a priori decision. - Extubate patients BEFORE the morning round. Aggressively. That's important.